The show started late, around almost 9pm. It's a good thing I was with mah loves Ana, no dull moment! Hehe! Haven't seen her in days so we spent our time catching up. After a gazillion stories, a bottle of water, 1 glass of iced tea, a hotdog sandwich and a funny popcorn accident, the countdown to Zac finally began! The excitement and the energy of the whole place was amazing. Some dancers and a singing group opened the show prior to Jay-R, felt like I was watching Party Pilipinas. Hehe. 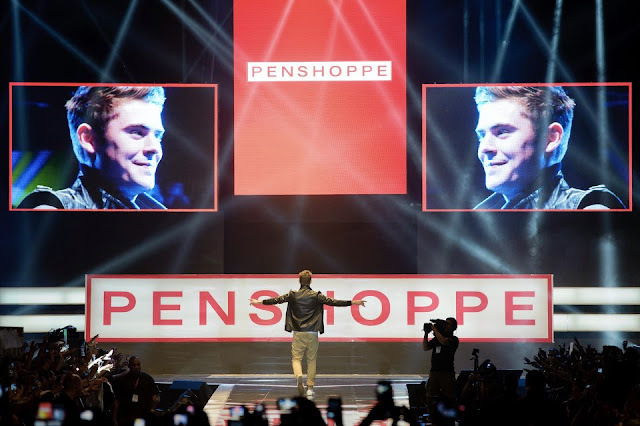 While they were performing, past shoots of Penshoppe celebrity endorsers were being flashed on the huge screen. Love the set by Never The Strangers! 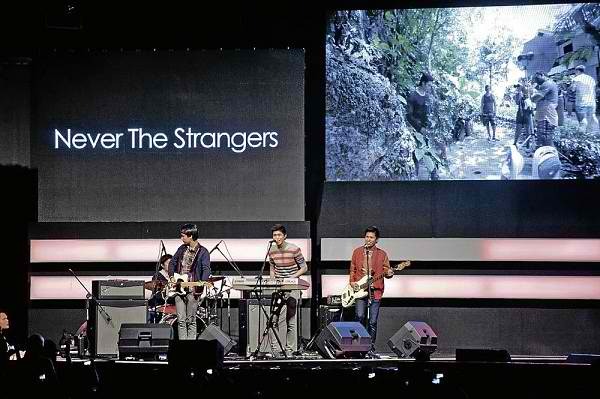 Even Ana who first heard them, loved them na agad. Hehe. Love their songs and the melody of their songs. It's like I'm listening to a foreign band. They're being handled by Rico Blanco by the way. 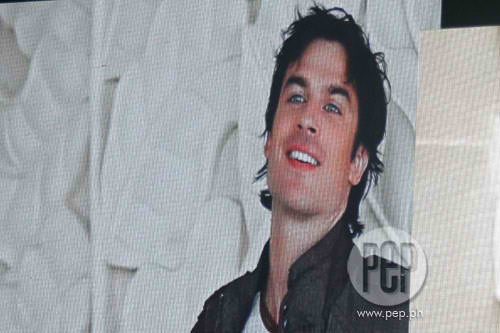 Anyway, while they were performing, Ian Somerhalder's shoot in Palawan was being played on the huge screen! I was so kilig I swear para akong nag spasm. Ask Ana. I DIED. Then the UAAP Cheerdance Champion, The UP Pep Squad came onstage and pumped up the crowd! They danced to HSM songs. I was glued, they were awesome!!! ...his highness came out!!! The crowd went wild. WIIIIILLLLDD!!! Including me and Ana. Haha. 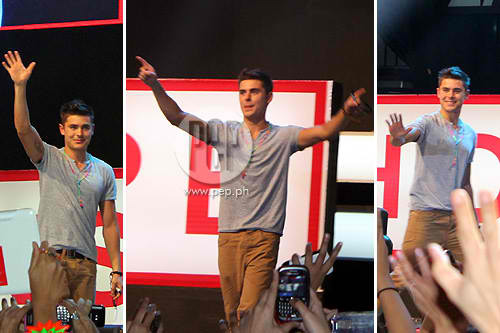 He's so gwapooooo! I swear it was like an apparition. Haha. 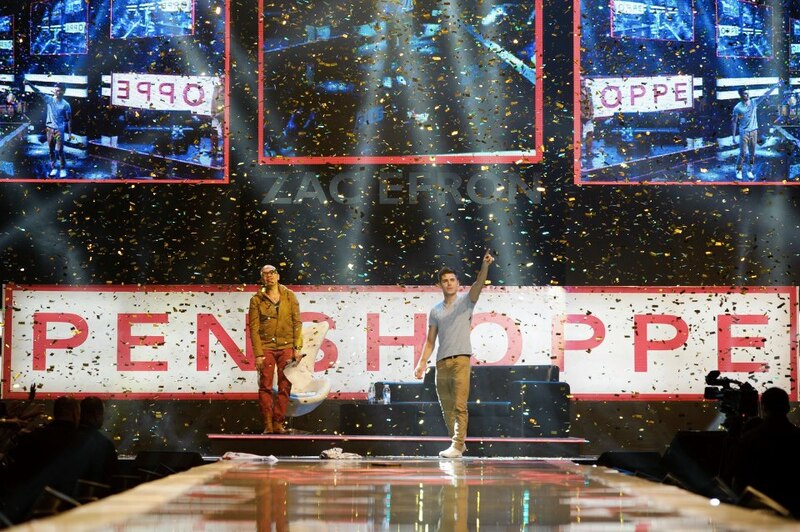 For about 10 minutes, Zac Efron owned all of us. You are a god! Okay maybe not. Prince nalang keri? Haha. 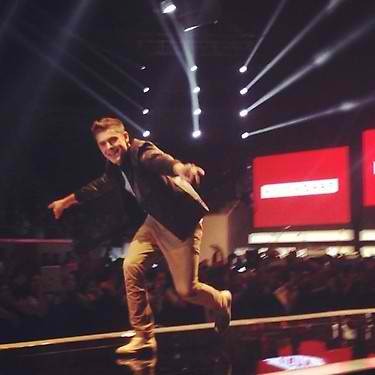 He's like this ball of good energy! 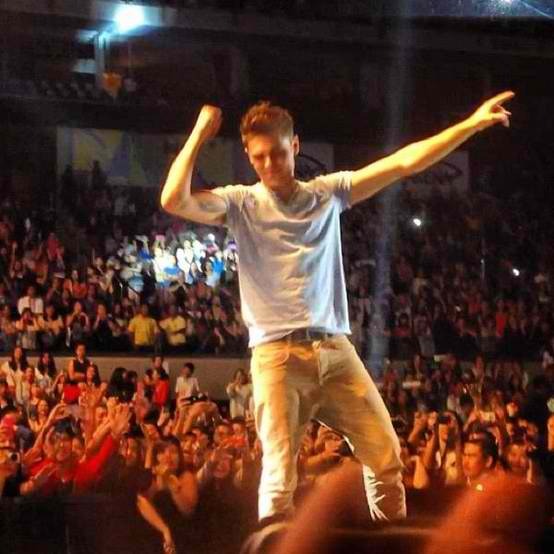 He then took off his jacket and threw it sa crowd! I wonder who got it!!! 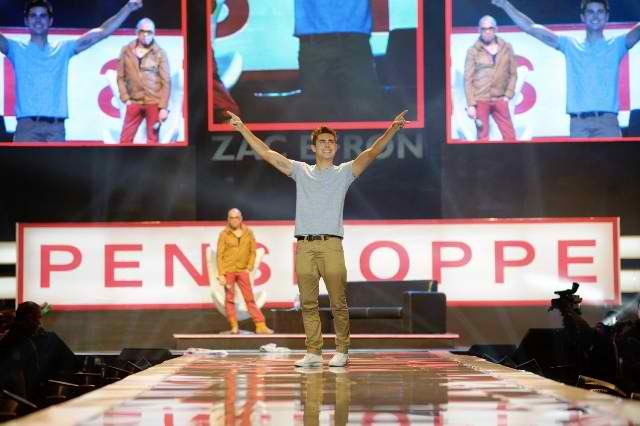 Zac dancing, so cuuuute!!! Damang dama nia eeh. 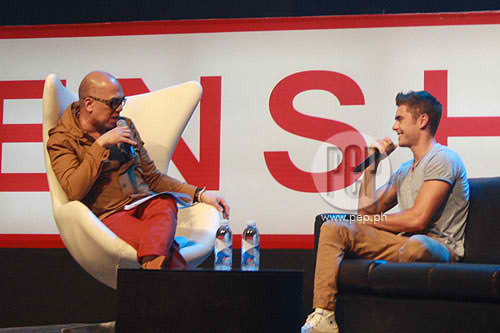 Boy Abunda conducted the Q&A. He asked Zac about his Albay trip, what he thinks of the Philippines, PENSHOPPE, High School Musical, his career, his childhood and of course his lovelife! Gusto niyo yan. Haha. ilang picture ba gusto nioooo. Haha. He's such a cutie and a gentleman, a charmer and a bolero! Hehe! 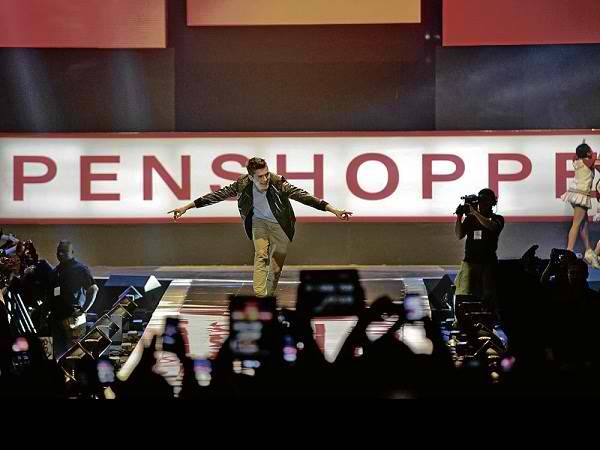 In summary, he basically said he wants to move to the Philippines (cge na go na yan sagot na ng SM Residences daw charot), he missed High School Musical, that he could marry a Pinay considering his ex-gf is Pinay (Vanessa Hudgens), he enjoyed working on his movies New Year's Eve and The Lucky One, his ultimate dream is to make more movies for his fans, he most treasures his passport (whuuut), his favorite actor is Paul Newman, he wants to work with Johnny Depp, Leo Dicaprio and Jack Nicholson, how he do crazy things when he's having a bad day and that he's now thinking of marriage (attack na mga te!). 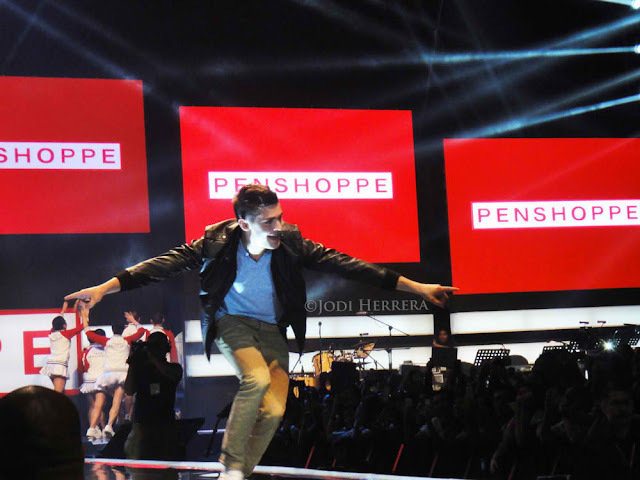 He said he said yes to Penshoppe coz he fell inlove with the clothes and it's his style. 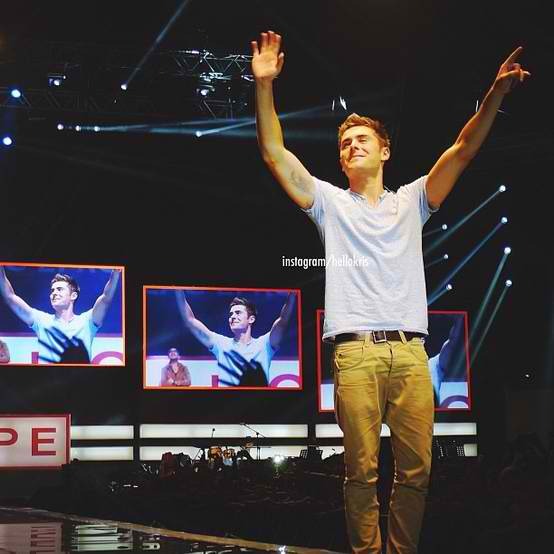 When asked to describe himself in 4 words, he said "I love the Philippines". Awww. Prepare to die of cuteness! 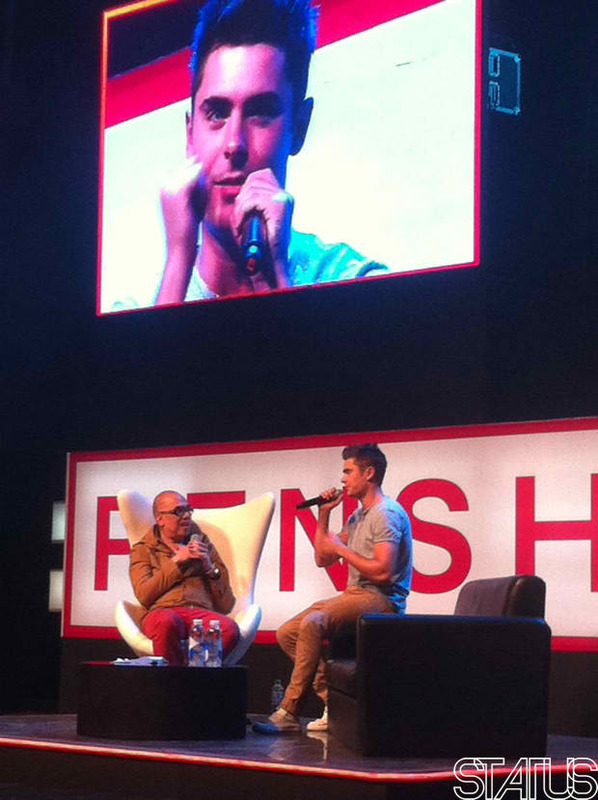 After the Q&A, some of his fans were given a chance to tell Zac their message. One of them even got a kiss! When she said she wants Zac to be his first kiss (te ilang taon ka na ba aral muna! haha), Zac immediately went to her and planted a kiss on her cheeks. You're the lucky one na talaga bebe girl! But wait, there's more! Haha. 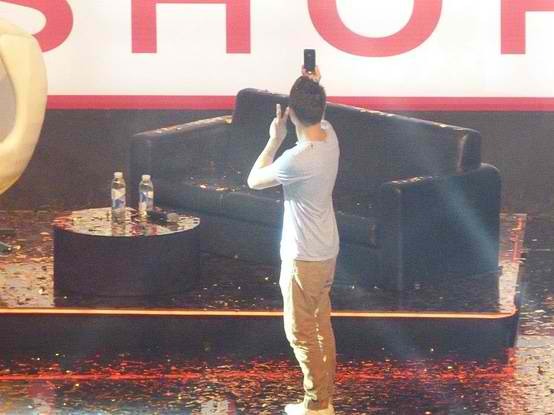 He got out again, his camera phone on hand, and took photos of and with the crowd:) He stayed on stage a little bit longer to meet his meet-and- greet winners! All 100 of them! OMG. KINILABOTAN TALAGA AKO!!!!!!! 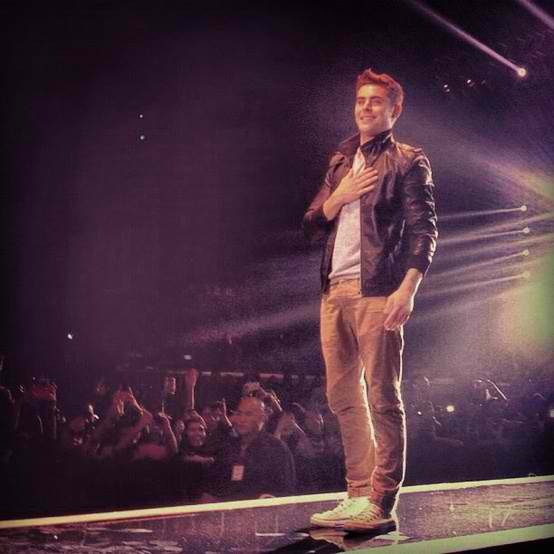 ZAC EFRON!!!!! !